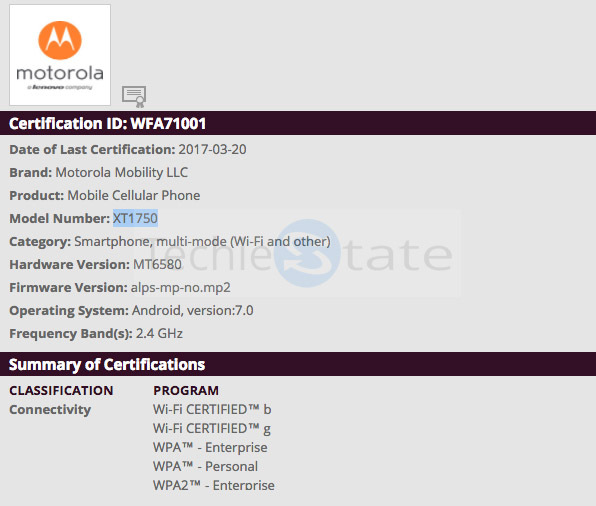 A couple of upcoming Moto phones with codenames – XT1754, XT1750 – have recently received WiFi certificates. Both the phones will run on Android 7.0 Nougat and will feature a Mediatek chipset – MT6737M. We have heard rumours about the Moto C in the past. 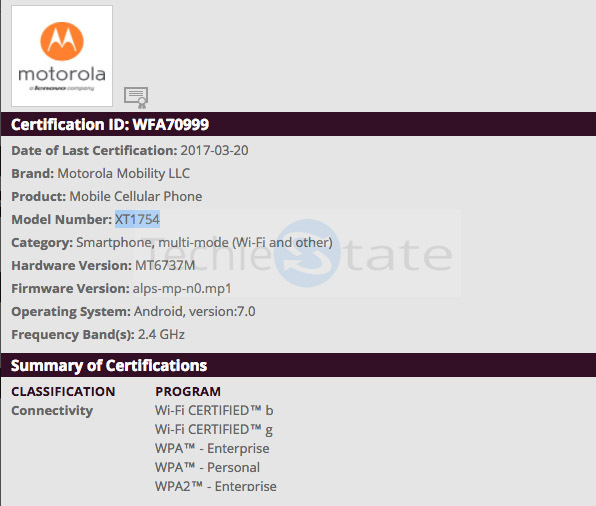 Both these models could be the two variants of the Moto C.
These models have also spotted on FCC earlier. As per the listing, the phones will carry a 2350 mAh battery along with a 16GB of internal storage. With all these leaked information, it is clear that Moto has plans to unveil or announce yet another budget smartphone running on Mediatek chipset soon. Considering the launch of Moto G5 and G5 Plus, these above mentioned models could be the next Generation of Moto E smartphone. Nothing is confirmed as of now.